Turab Hussain’s research interests have ranged from migration theory and policy, poverty and rural development to trade and development. 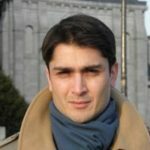 Recently published research has been on migration and policy, prospects of trade with India and on Pakistan’s experience at dispute settlement within the WTO. Teaching interests are in Development Theory, International Trade, Macroeconomics and Trade and Development.